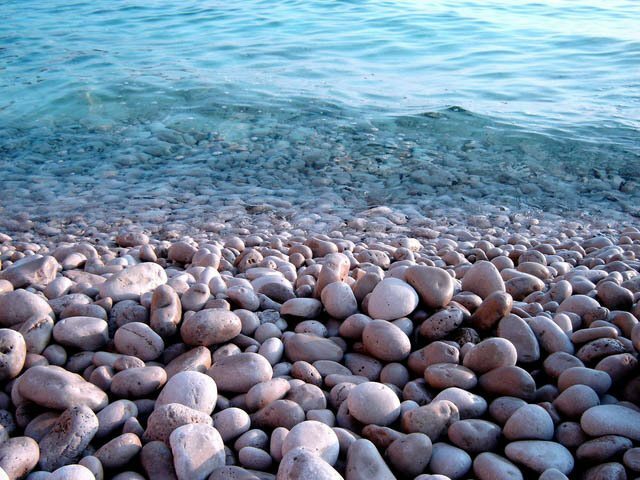 What comes to your mind first when you think about Croatia? Most of tourists come to Croatia to see stunning views of Dalmatian coast (Split or Dubrovnik). And while it really is breathtaking, it is also very touristy. If you want to see something the same beautiful but less promoted, I recommend going to Istrian peninsula’s charming towns and specifically, Pula. Pula is a nice little town (60 000 inhabitants) on the Istrian peninsula. I wanted to finish my Croatian trip with Pula, the city with the history of over 3 000 years, and had absolutely no regrets! Why? 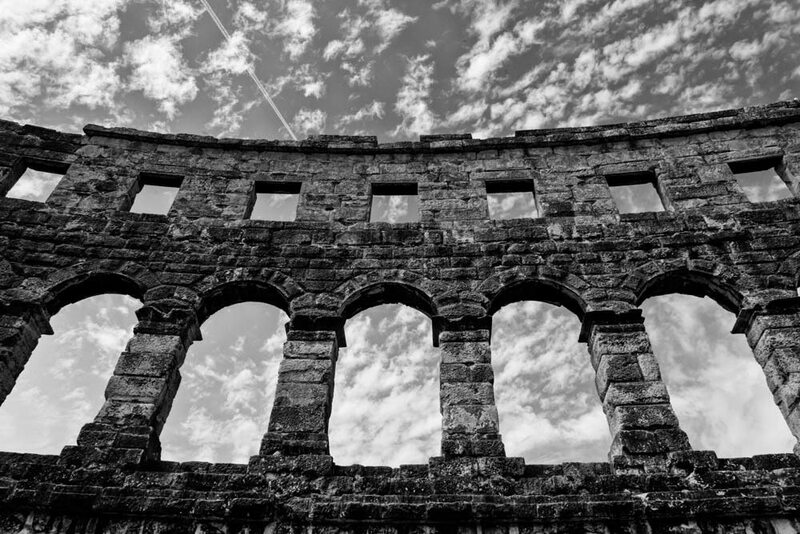 As the largest city in Istria, Pula has so much to offer to tourists who want to discover both the historical and the cultural part of the region! 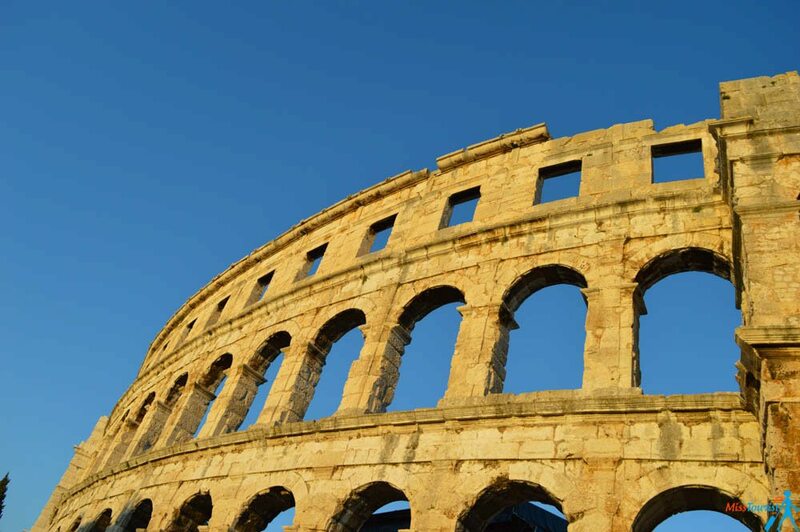 The Arena of Pula is the 6th largest coliseum in the world. It is also the only remaining Roman amphitheater to have a four sided tower. 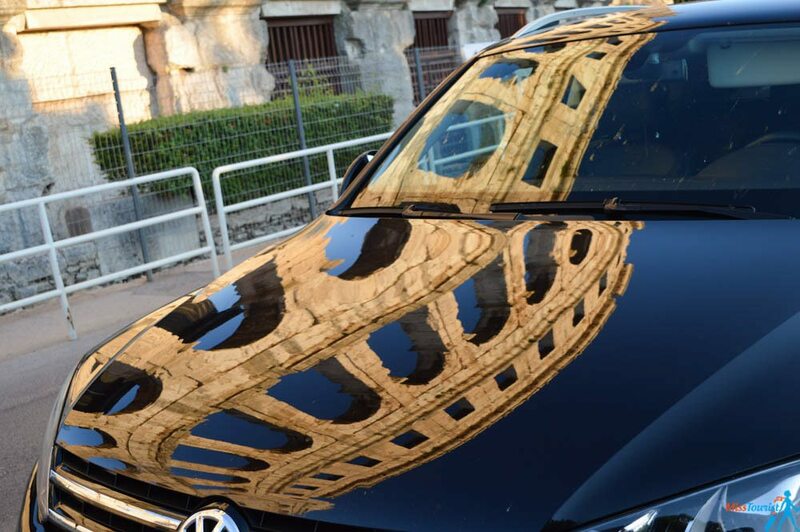 It was built in the 1st century A.D. and was an arena of gladiator fights as the famous Colosseum in Rome. You can simply walk around the monument or go inside it and see the caverns beneath. The price to enter the amphitheater is 20 Kuna (~3 Eur). The temple is located in the main square of the city that is called the Forum. It is because it was built exactly on the square, where ancient roman forum took place. The temple was built in the 1st century and was dedicated to the first Roman emperor, Augustus. Go check it out from the inside, the entrance is free! If you want to just walk around the city by yourself, without a tour, you can take a free self-guided tour here. Istria is one of Croatia’s most developed wine-producing regions. If you are a wine lover, don’t miss the chance to try it! As in the case of Split, Pula is a coastal city located close to some paradise islands, that you should not miss the chance to visit! You can go to the Brijuni islands (a group of 14 small stunning islands in the Adriatic sea) or Veliki Brijun – an inhabited island. I did not have enough time to go there, but I have heard it is extremely nice! You might want to check it out if you have, let’s say, more than 2-3 days in Istria. 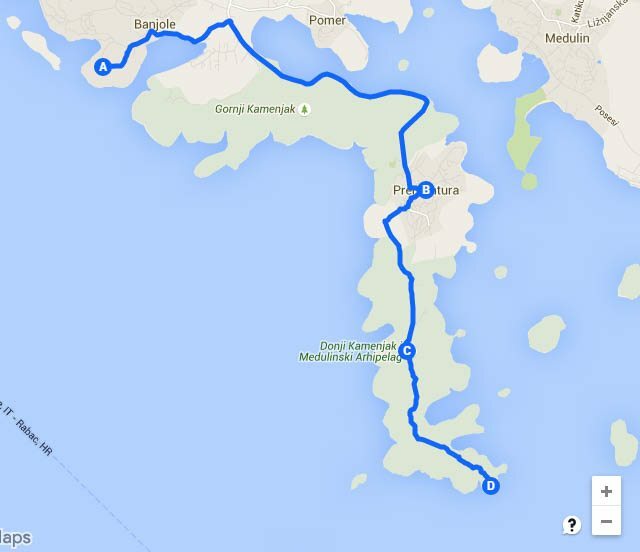 My suggestion would be to take this boat excursion to Brijuni National Park. The Kamenjak natural park is a combination of stunning landscapes, sprinkling yachts and fun activities. It is located near Prematura (8 km. from Pula city center) and it is a southernmost point of Istria. There’s this cool bar over there, equiped with hammocks, and it is pretty much unknown to tourists! A perfect secluded vacation getaway. The entrance to the Donji Kamenjak Nature park is 3,5 Eur (all the rest is free), but it is well worth it. If you are brave enough, you can jump from the cliffs in the southernmost point of Istria, and it’s awesome! You can download an offline map here (easy to open with Maps.me app). You can find possible bicycle trails and the map of the park following the links. Hotel Oasiss is a greatly decorated tranquil small hotel with just 8 rooms. I stayed only for 2 nights, but there is so much to do in Istria, you can easily stay for 1 week! Located in Vinkuran, a small village 10 minutes driving from Pula, Hotel Oasiss is quite distanced from Pula’s city center. But it is more an advantage for peace seekers, I’d say. On their web site they even say: “You are far away from everything but in the heart of harmony, luxury and elegance”. When I showed up at 7 a.m. with my suitcase, (which was way too early for the check-in of course), the staff was hospitable and welcoming. They fed me breakfast and made sure my room was ready as soon as possible. The rooms are spotless clean and well decorated. Large comfy bed, AC, all the toiletries, a large balcony with a perfect view to the swimming pool. 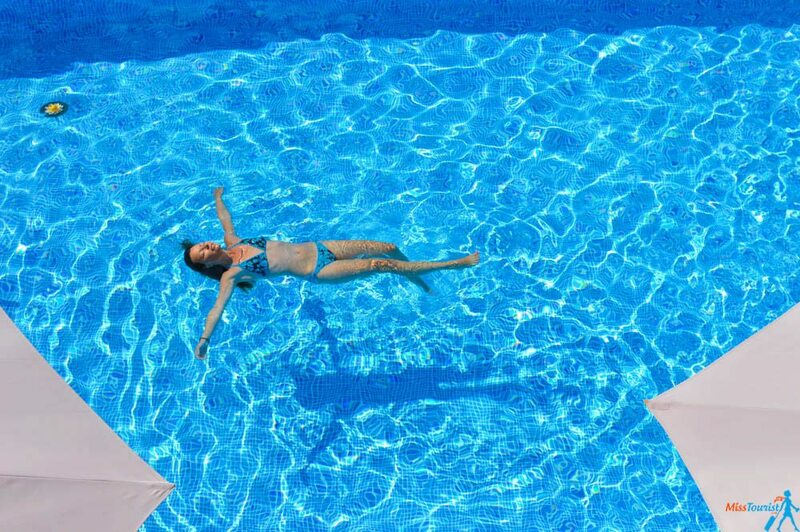 Take advantage of the pool, it is just ideal to spend the whole day there! A bliss! You can also take bikes there free of charge and go to the nearby National park. It can be a wonderful day trip! If you are with your own car, there is a private internal parking inside the villa where you can safely leave your car. Prices: about 100 EUR per night, but it can start from about 60, depending on the season. Stay here if you want to relax, take a break and feel thoroughly spoiled. Villa Oasiss is perfect for those who want to stay in not crowded secluded place during yout istrian holiday. It really is an oasis! Book this hotel/ Check the rates here! The first best way to discover the country is to rent a car and drive along its beautiful coast. The second best choice, if you don’t want to rent a car is to drive around by bus (there are not many trains in the country). Check out Autotrans, they have the most amount of routes in the country, great prices and even Wi-Fi on board. I mostly used them in my Croatian trip. I visited Pula in October as part of my 30 days Eurail trip, when I visited 6 other countries and numerous cities! I would recommend going during the season (May to October). If you visit it during the off season, the majority of restaurants and hotels will be closed, no fun! I visited it early October. It was nice as it was still warm and not that crowded anymore. What surprised me the most is that mostly all people speak Italian along with Croatian. 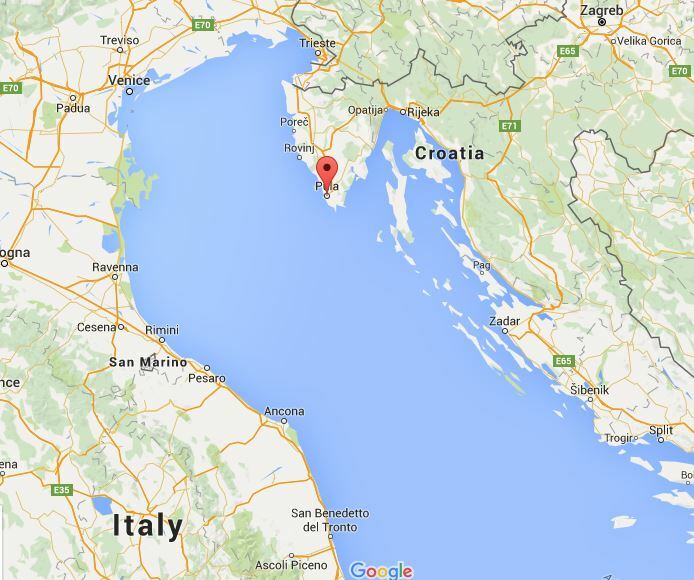 The reason for that is because Pula was actually a part of Italy from 1918 to 1947. Because of that, the people from the older generation speak fluent Italian, and the youngsters just learn from their parents or study it at school. 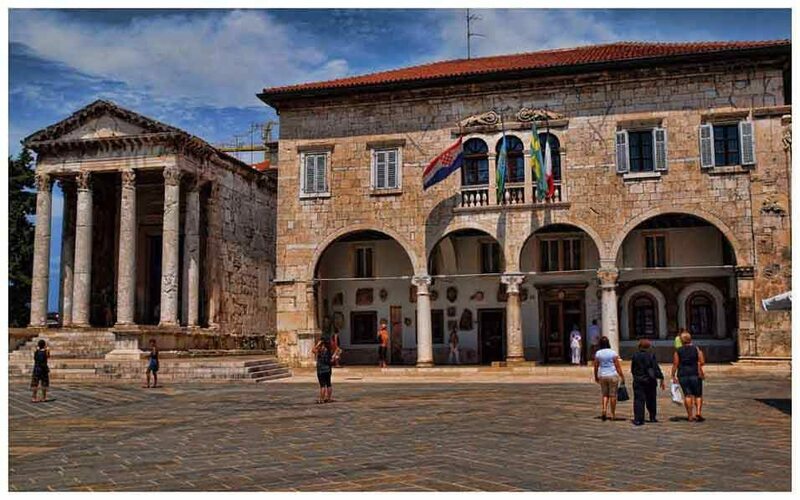 Conclusion: Pula has it all – unspoiled nature, smooth see, mild climate and good wine. You can stay in Istria alone for a week and not get bored. It is much less touristy (also, less expensive) than Dubrovnik. But its popularity is growing fast, so, hurry up! 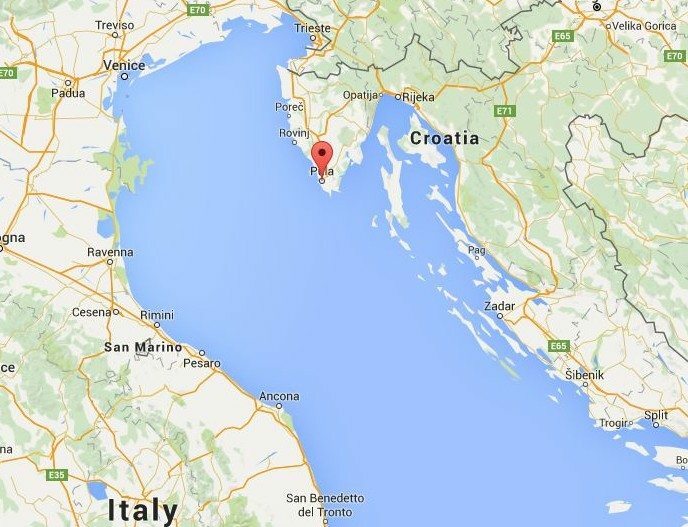 UPD: I have came back to the region of Istria, this time for 1 week! 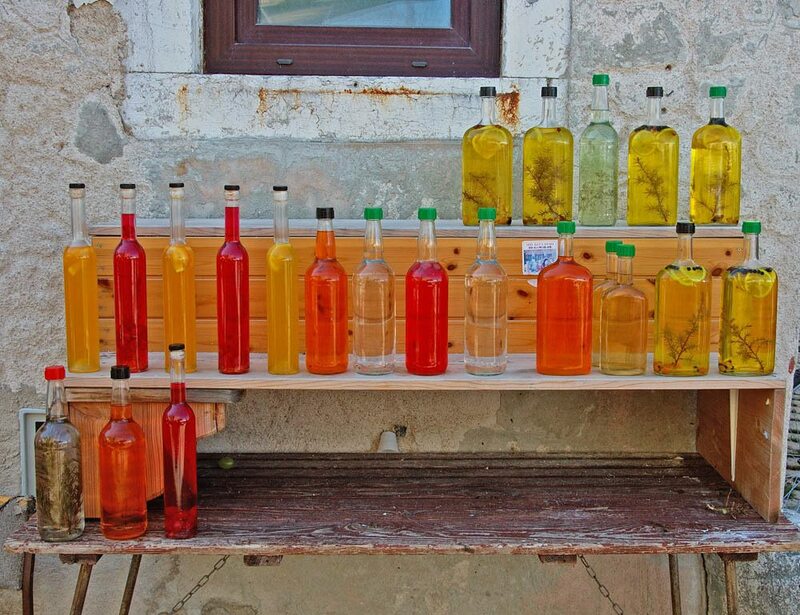 Click here for more details about things to do in Istria! Disclaimer: I was invited to stay in Oasiss hotel as a guest, my opinion will always be my own. 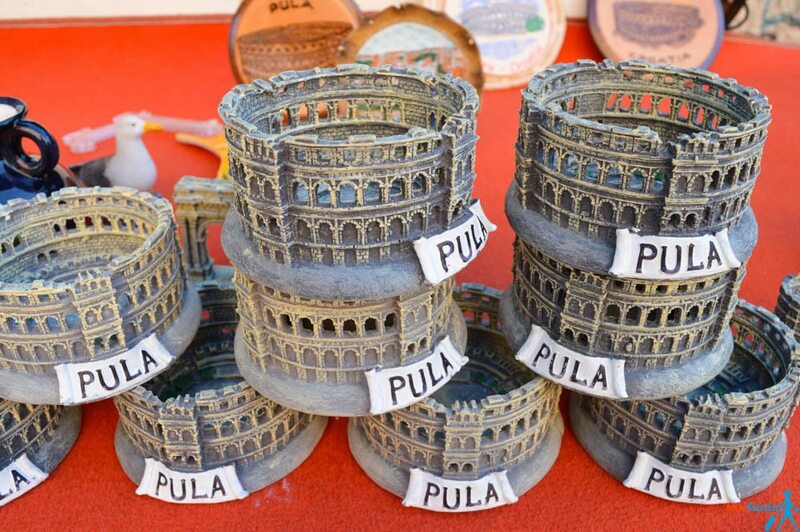 Have you been to Pula or Croatia in general? What is your favorite place there? One updated info is that the entrance to the Kamenjak Nature park has jumped up few days ago from 40 to 80 HRK.